Our hair is incredible – a strand of it is stronger than copper wire of the same diameter; its elasticity increases by 30% when wet; and over the course of our lifetime, we’ll grow a seemingly impossible 590 miles of it. Impressive indeed and our hair only becomes all the more fascinating when the science behind hair growth is understood. Known as the hair growth cycle, this three phase process is the same for both men and women. In this blog article, we dive into the details as to exactly what happens during the cycle, explaining the scientific story behind each of the 100,000 hairs on the average head. The anagen phase is the stage in which each hair strand undergoes growth, lasting for between 3 and 5 years (representing around 90% of the entire hair cycle). Given that our hair grows, on average, 0.5 inches per month, this will result in a full-length hair achieving a length of between 18 and 30 inches. There are some variations between ethnicities in relation to the duration of this phase – such as Asian hair, which can undergo an anagen phase that lasts for as long as seven years. Extending the anagen phase is the ‘Holy Grail’ of hair growth, as it means that you can achieve longer hair. Most notably, Asian hair can reach as long as a meter, thanks to a longer growth cycle. 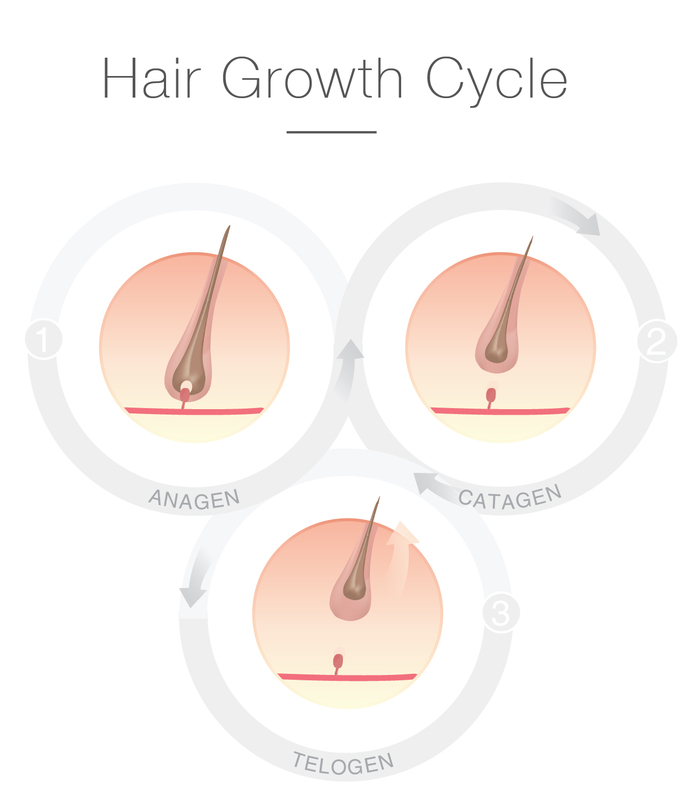 The catagen phase can be considered as the intermediate stage of hair growth during which the hair is preparing for the upcoming ‘resting’ phase. This phase lasts for between 1 and 2 weeks, during which time the deep, inset portions of the hair follicle start to collapse. 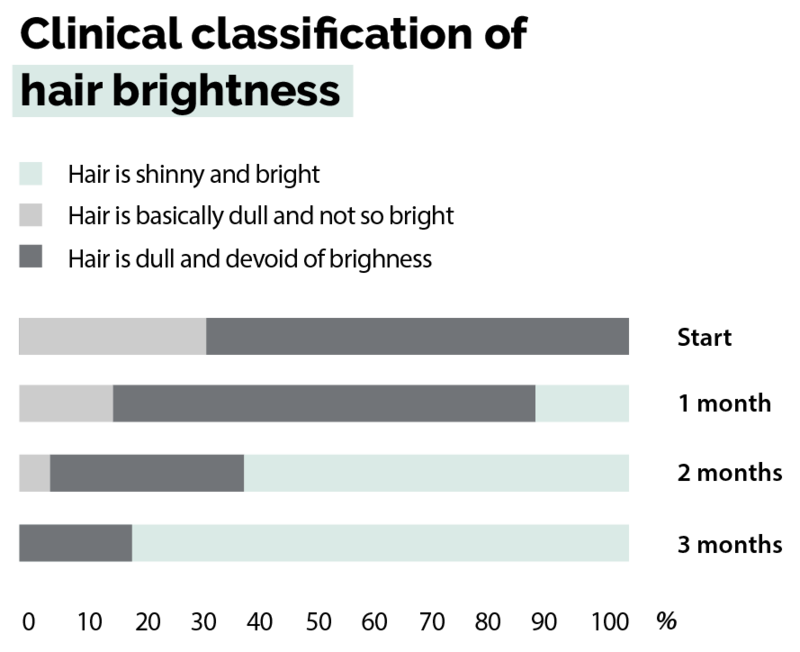 This results in the hair bulb shrinking and the root of the hair transforming into a club-like shape. This transitional period brings the growing phase to a close and only ever applies to 1% of your hair at any one point in time. The telogen phase is the period during which the hair is shed and the follicle rests, remaining inactive for around 3 months before a new hair will grow in its place. Every follicle operates to its own timescales (which is why we always have hair, rather than shedding it all at once!). Generally speaking around 80 hairs per day will be shed. This completes the cycle of human hair growth. There’s often confusion about the telogen phase and misconception about whether or not there is a phase beyond this. Often quoted as the ‘fourth phase’, and more officially as the ‘exogen’ phase, this stage is simply a continuation of the telogen phase – when the hair is shed, and the inactive follicle becomes active once more. Can a longer anagen phase be achieved? In a word yes, the anagen phase can be extended – which is exactly where our science steps in. During independent clinical trials, KeraHealth achieved an extended anagen phase of up to 21%. 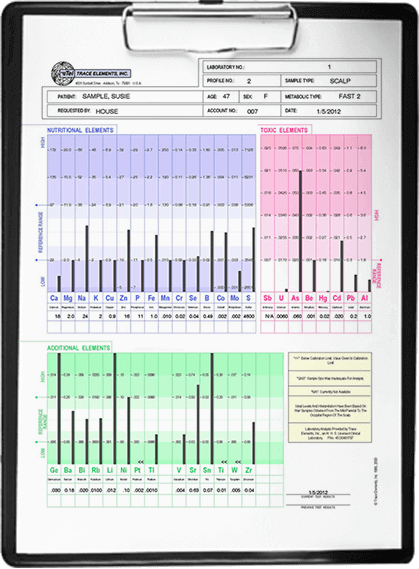 This was additionally coupled with a reduction of the Telogen phase of 61%. In the simplest of terms, this means fewer hairs that shed, and a longer growing period – for thicker, healthier hair. KeraHealth nurtures hair – we are inspired by nature and empowered by science. Our products are clinically tested to reduce hair loss, strengthen nails and foster shinier, thicker and faster-growing hair – for a hair cycle that is comprehensively supported with all the nutrients, vitamins and resources it demands.